As Juila Child once said- People who love to eat are always the best people!! So yes first I eat and then I do everything else! I present you the simplest meal ever! 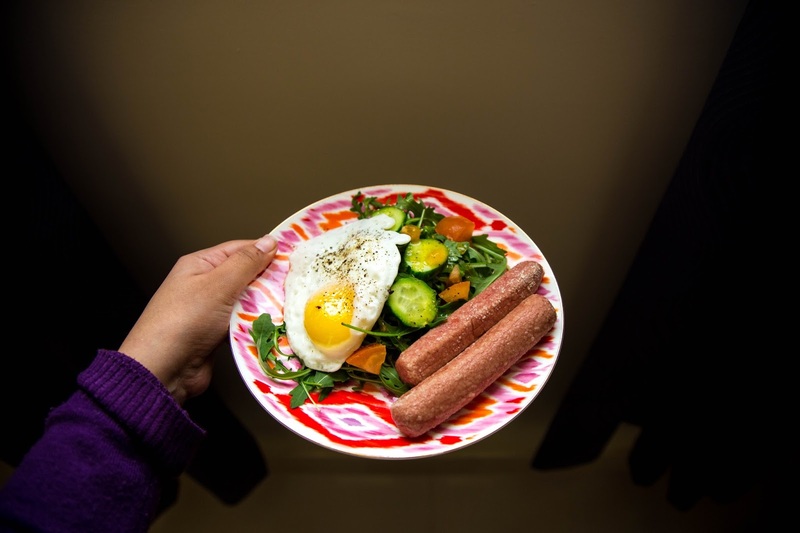 Fried egg, Sausages with Rocket, Tomatoes and Cucumber salad. How easy could that be! The dressing for the salad was a simple lemon, mustard and olive oil dressing.